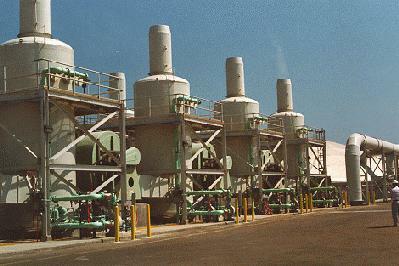 Hydrogen sulfide scrubbers are used at a water treatment facility. The odorous and potentially hazardous gas is removed with packed bed scrubbers prior to release into the ambient air. For this project, dispersion studies were performed on the effluent release with the use of modeling software specifically developed for the site by Aerocomp.